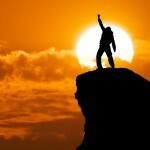 How does it feel to be voted the #1 digital agency in Scotland? Good Luck to the Blue Brazil! The Penguin is back! But what will Google’s new algorithm do to your website, now that it has been released into the wild? Discover the top secret WikiLeaks failed to pick up on…and it’s a biggy! Find out how MOU’s SEO Ninjas and Wed Design Masters are doing their bit for Prostate Cancer this month by growing moustaches to raise money. Movember is a global awareness and fundraising campaign with a facial hair centric twist. AdWords Certified Cozy Digital professionals can setup and handle your businesses PPC Campaigns to bring your online business increased traffic, sales and success. Cozy Digital is now providing advanced and customisable SEO packages to provide your business with search engine optimisation that fits like a glove. Cozy Digital offer advanced Usability testing to ensure your website lives up to it's full potential. 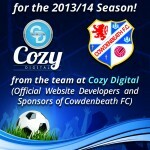 Cozy Digital offer special and custom designs for football club websites. With great experience in the area they can provide a free quote for a sophisticated, ambitious site to match the aspirations of your club.